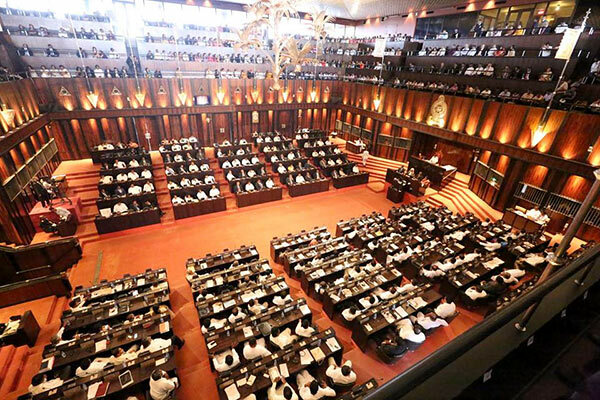 The proposal was submitted to the Speaker of House by MPs Ravi Karunanayake, Navin Dissanayake, Kavinda Jayawardena, Nalaka Kolonne, Chathura Senaratne and Hector Appuhami. The proposal also cites that a No Confidence Motion was passed against Mahinda Rajapaksa and his faction and that the Speaker has acknowledged that there is no legitimate government. Therefore the proposal claims that the Secretary to the Prime Minister is unable to disburse state funds for any form of expenditure as of the 15th of November adding that legal action will be resorted to against any individual found to be violating this order. The United National Party claimed that the proposal will be passed with a majority on Parliament today.